Gutenberg Marathon on 6 May – a unique experience! 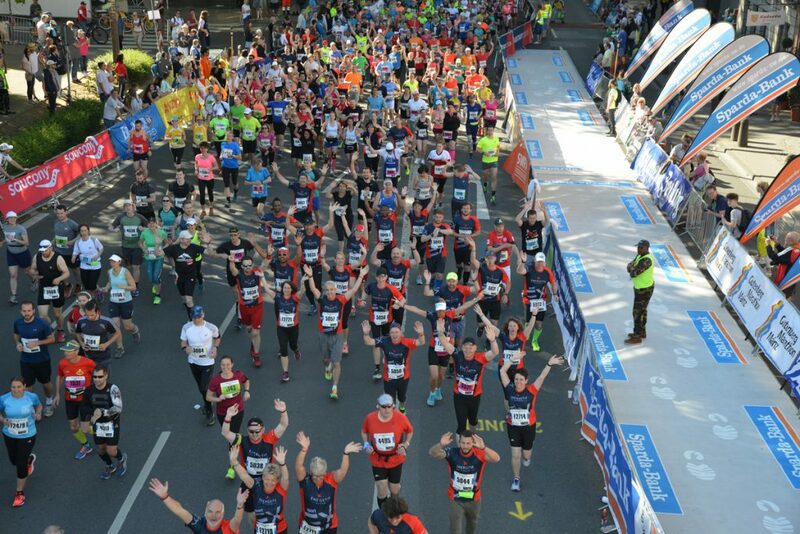 ENERGETIX once again fielded the largest group of athletes at this year’s half marathon in Mainz. It was a true celebration for the runners in the company shirts in blue – which matched the bright blue sky. And it was much more than just a run: the entire management was present, several members of the STARCLUB, ENERGETIX employees – all in the ‘goose-pimple’ atmosphere of a sporting event at which several thousand participants let themselves be carried across the finishing line by the spectator’s thunderous applause and the powerful music from the loudspeakers. It’s something you need to have experienced for yourself! 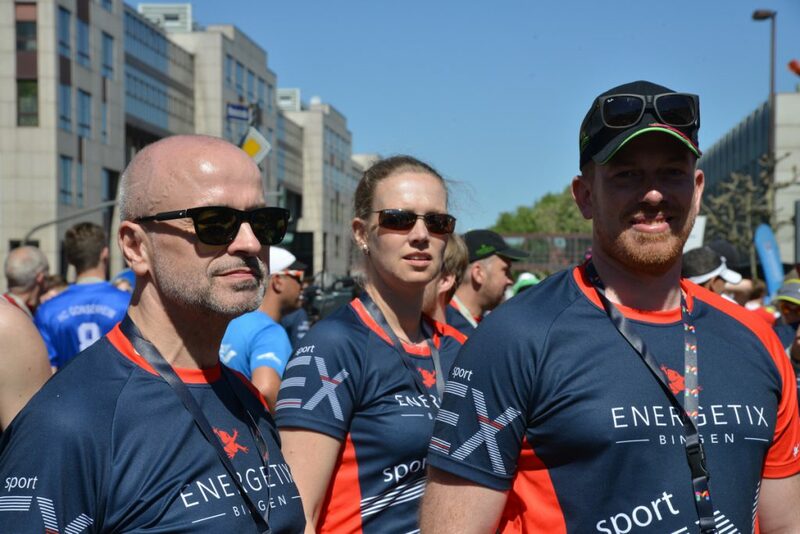 EXERGETIX’s runners also enjoyed additional support: extreme sports personality Joey Kelly had also donned the blue ENERGETIX shirt to again keep to his promise that he would to help every team member across the finishing line. To be accompanied across the line by this charismatic person after 21 km: pure emotion! 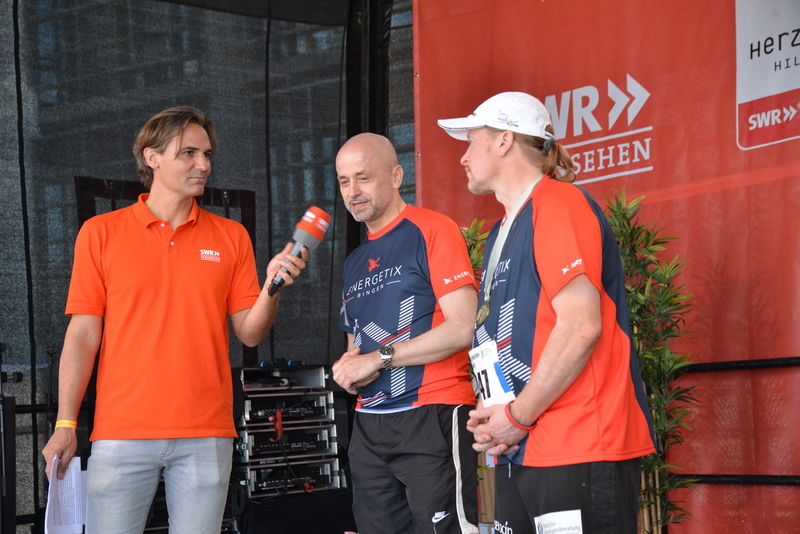 CEO and Sole Shareholder Roland Förster took the opportunity that an interview on the SWR stage presented to explain what made ENERGETIX’s presence at the Mainz Marathon so special: for every kilometre run, the company donates two euros to its charity partner, the Hugo Tempelman Foundation. So Roland Förster was able to hand over the rounded-up figure of 5,000 euros to Liesje Tempelman, the wife of the charity’s founder, who – along with her sons – had also joined the runners. 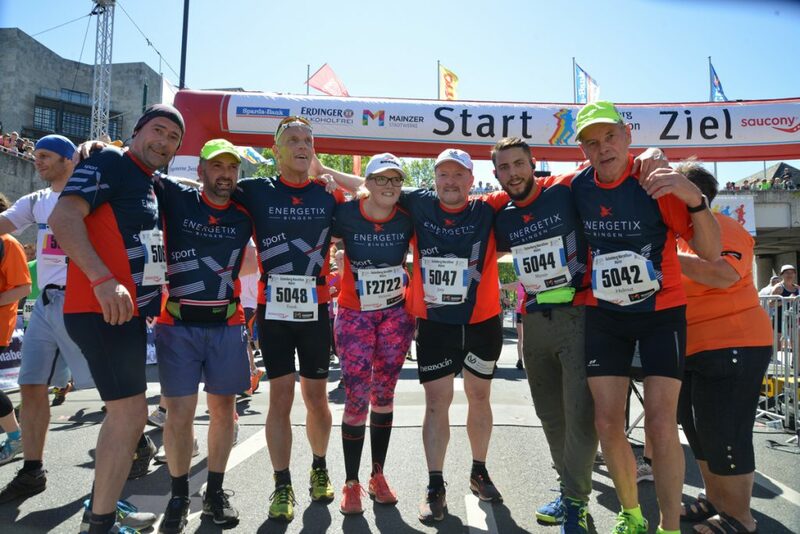 Living at and with ENERGETIX brings many warm and moving moments – and everyone is able to enjoy a whole range of them at the Gutenberg Marathon. That’s why ‘See you next year’ is simply the natural way of saying goodbye at the end of this event. And, as mentioned above, it’s something that you have to experience first hand – whether as a fast or slow runner or as a spectator on the sidelines. So make a note of the next run and join us for a unique experience in 2019 – the 20th Gutenberg Marathon.